As reported by the Centers for Disease Control (CDC), the United States is in the midst of an opioid overdose epidemic with every American state, county, socio-economic and ethnic group impacted. 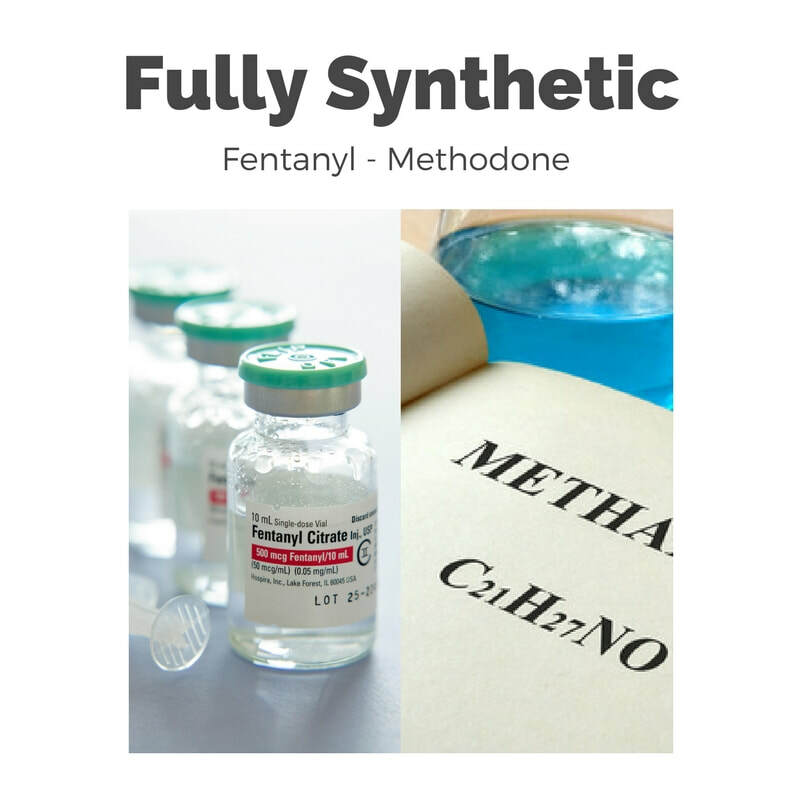 Drug overdose is the leading cause of accidental death in the United States. Killing more people than car accidents and guns – 63,600 Americans died from drug overdoses in 2016. Opioids account for more than 66% of all overdose deaths – killing more than 42,000 people in 2016. America is 5% of the world’s population. Yet consumes 80% of the global opioid supply. 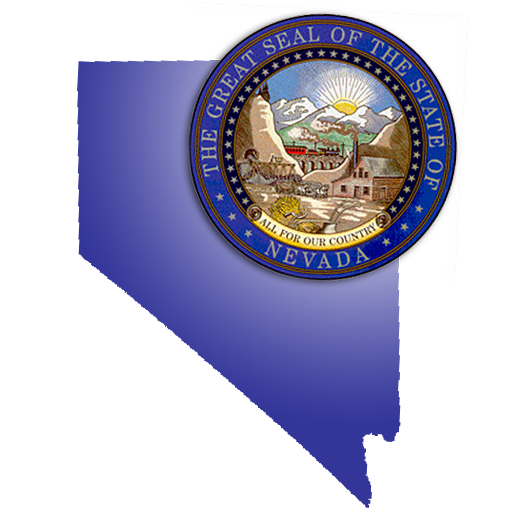 Opioid dependence occurs in every American State, County, socio-economic and ethnic group. 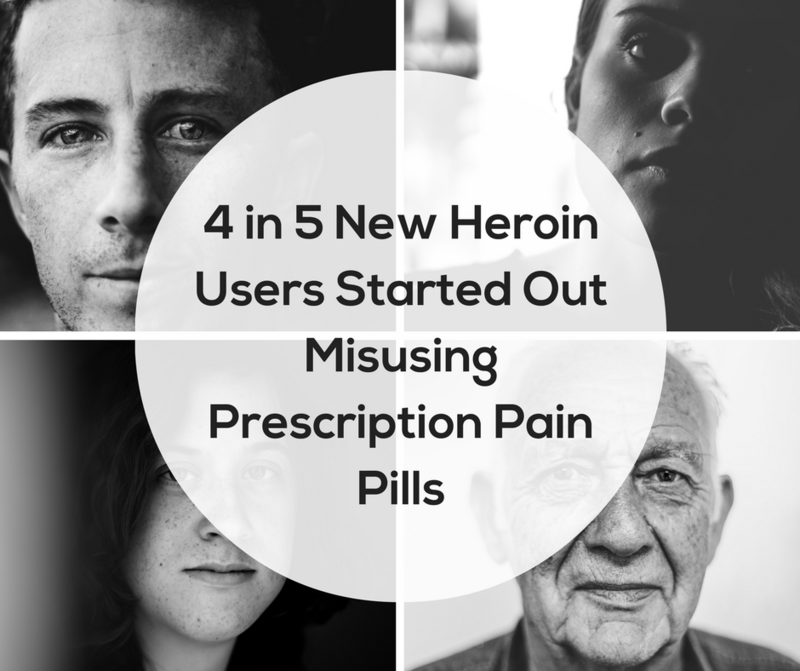 Anyone who takes prescription opioids can become addicted to them. In fact, as many as one in four patients receiving long-term opioid therapy in a primary care setting struggles with opioid addiction. 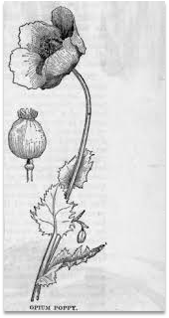 Because prescription opioids are similar to, and act on the same brain systems affected by, heroin and morphine, they present an intrinsic abuse and addiction liability, particularly if they are used for non-medical purposes. 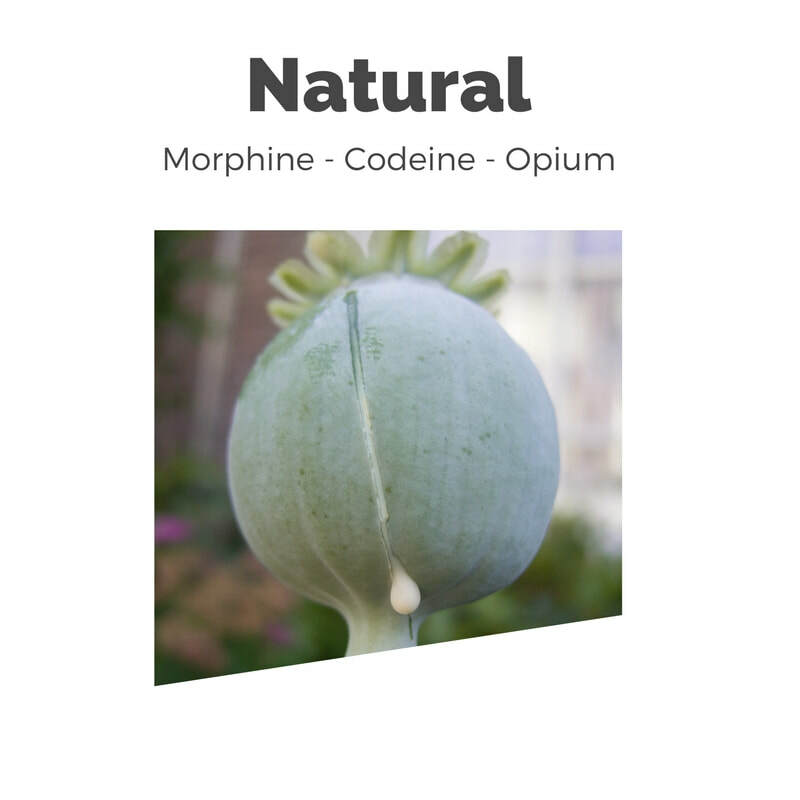 They are most dangerous and addictive when taken via methods that increase their euphoric effects (the “high”), such as crushing pills and then snorting or injecting the powder, or combining the pills with alcohol or other drugs. Overdose deaths involving prescription opioids were five times higher in 2016 than 1999. From 1999 to 2016, more than 200,000 people have died in the U.S. from overdoses related to prescription opioids. Each day, 44 people die from an overdose of prescription pain medicine in the US. Health care providers wrote 214 million prescriptions for pain medicine in 2016, nearly enough for every American adult to have a bottle of pills. There has not been an overall change in the amount of pain that Americans report, yet the amount of prescription painkillers dispensed in the U.S. quadrupled since 1999. A recent CDC report reviewed the 2016 opioid prescribing practices across the nation. Finding that healthcare providers wrote 214 million prescriptions for pain medicine in 2016. Nearly enough for every American adult to have a prescription. ​For Overdose Lifeline’s home state of Indiana for every 100 people, 84 pain medicine prescriptions were written. 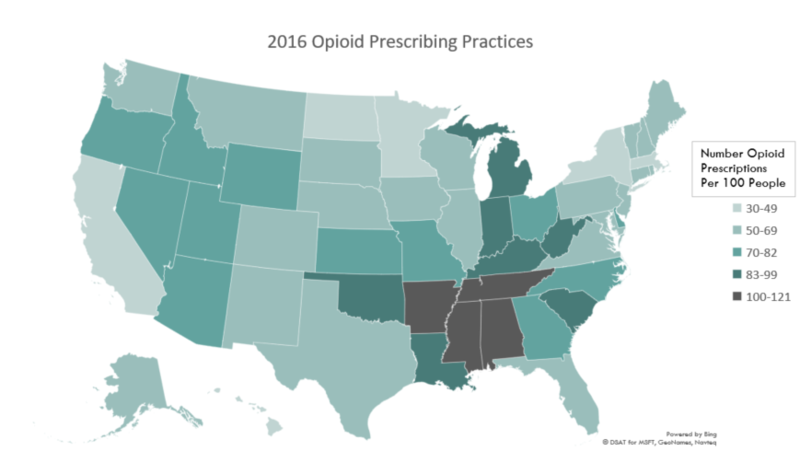 States with the highest opioid prescribing rates were Alabama (121), Arkansas, (114.6), Tennessee (107.5), and Mississippi (105.6) per 100 people. States with the lowest opioid prescribing rates were Minnesota (46.9), California (44.8), New York (42.7), Hawaii (41.9), and District of Columbia (32.5). 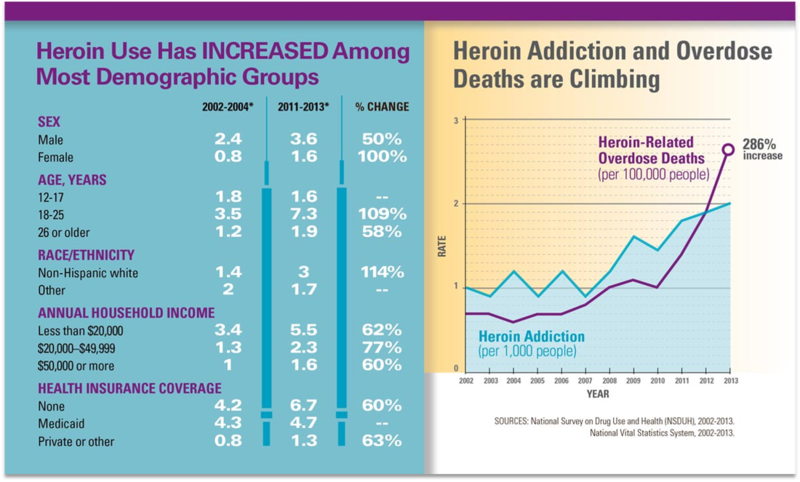 …more likely to be addicted to heroin. 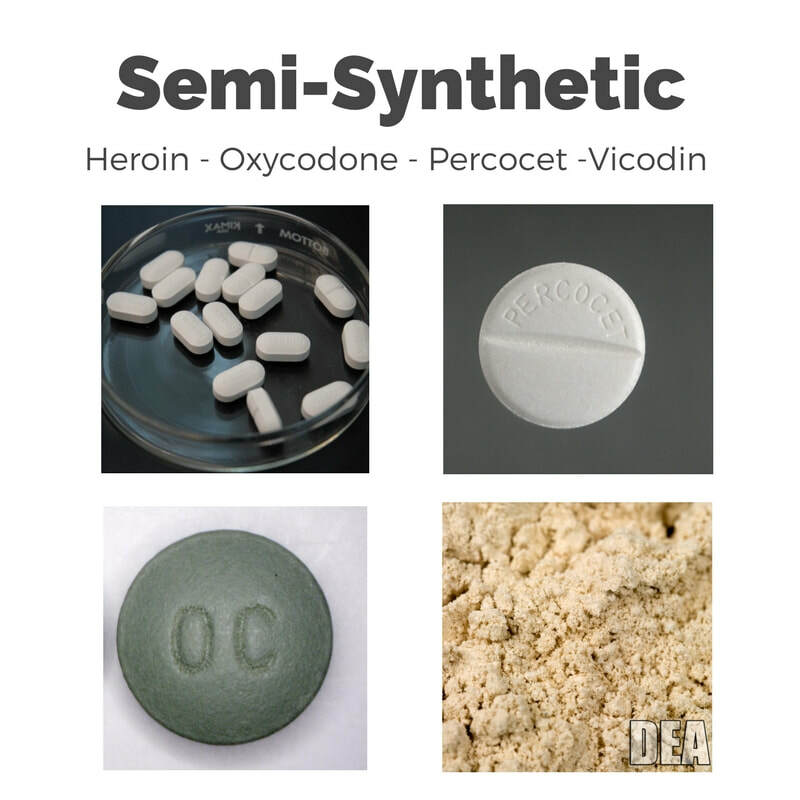 Heroin is typically injected but is also smoked or snorted. When people inject heroin, they are at risk of serious, long-term viral infections such as HIV, Hepatitis C, and Hepatitis B, as well as bacterial infections of the skin, bloodstream, and heart.